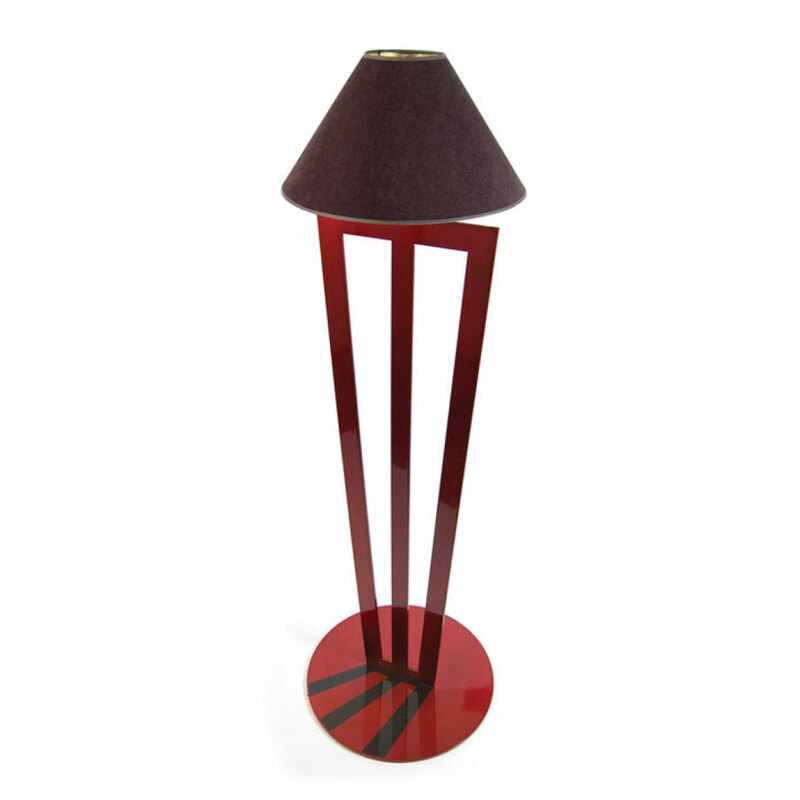 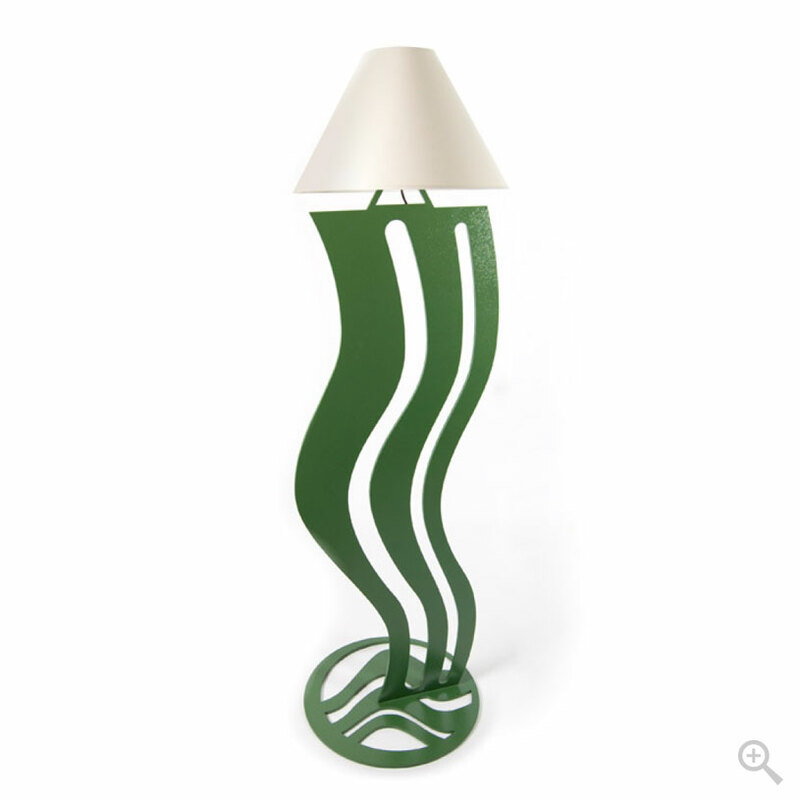 The Verge floor lamp features 3/8″ steel construction and is powder coated in a candy red finish. 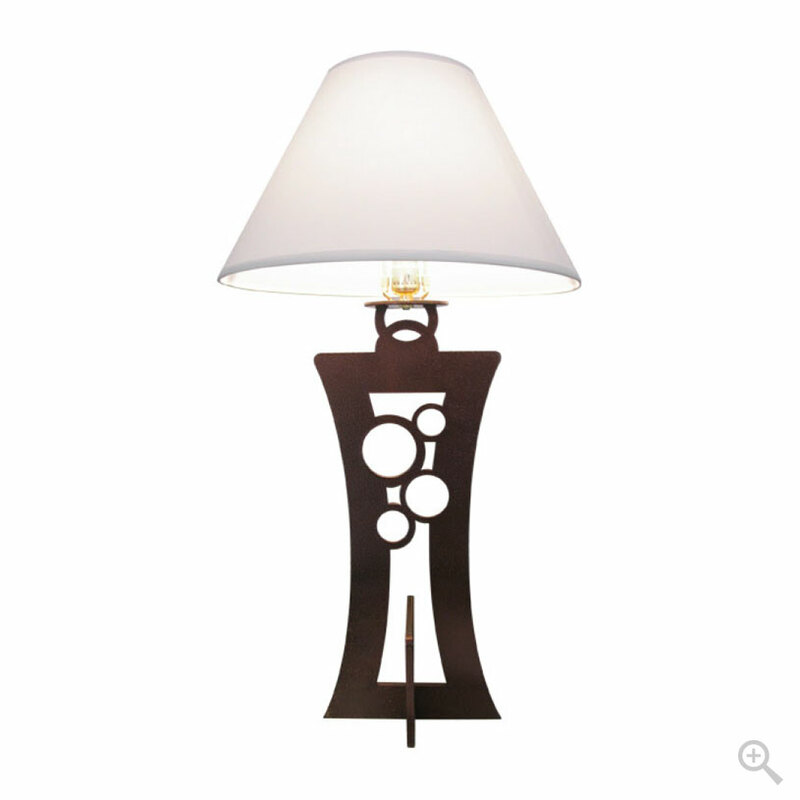 The base integrates a permanent shadow design. Includes black suede shade.